Urban axe throwing has finally made its way to Cornwall. Axe heads has teamed up with Mount Pleasant Eco Park, Porthtowan to host the first ever Urban Axe throwing event in Cornwall. 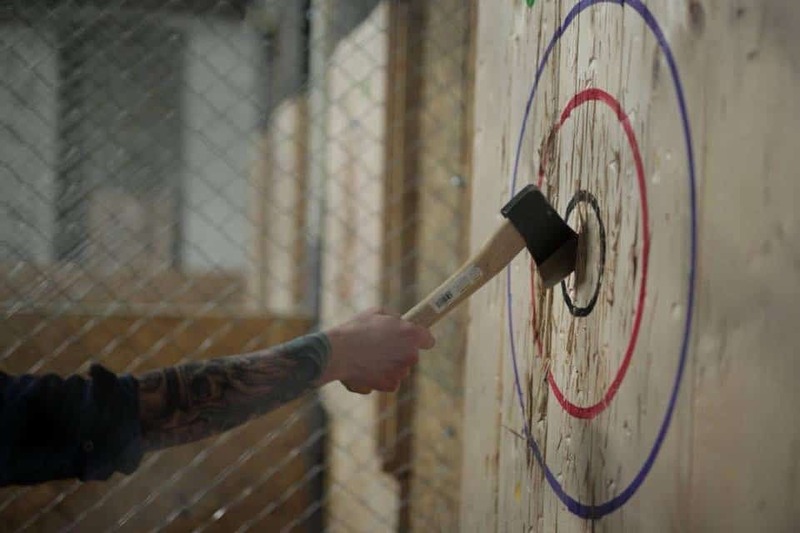 So What is Urban Axe Throwing? It’s basically hurling axes at a wooden target inside the Eco Park’s timber framed barn. You will become addicted to achieving that perfect throw and hearing that satisfying ‘thump’ when you land your first axe in the target. There is two axe throwing lanes with two people throwing at the same time. Each 1.5 hours session begins with a safety briefing, then the practice begins! You will learn one handed throwing techniques and may even get to master the two handed throwing technique! The afternoon includes challenges and games and at the end, a final tournament to crown the Axe Heads Champion! It’s just £20 per session and the Eco Park Barn Bar will be open (no drinking during the sessions for obvious reasons!) First session is at 12pm, second session is at 2pm on Sunday 4th November. This is not your average afternoon and is guaranteed good fun! This is hopefully the beginning of regular axe throwing sessions and maybe even Cornwall’s own axe throwing league! Come and be part of something truly unique.